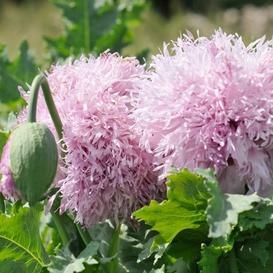 Unlike any other poppy you will see, Lilac Pompom is a fun, fabulous variety that reminds us why we garden! Light, fluffy, fringed petals adorn semi-tall stalks. Lilac petals contrast nicely above blue-grey foliage to create a truly stunning flower.